The summer is officially over, and with the weather change comes chilly nights. 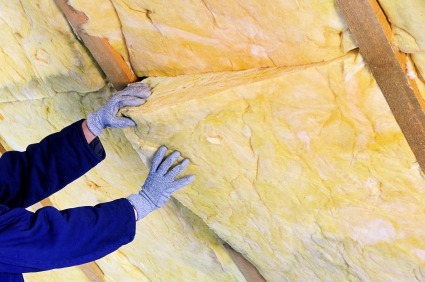 Help cut out drafts with these insulation tips. One of the easiest places to start would be weatherproofing your exterior doors. You go in and out of them every day, and it’s an easy place for drafts to come in. A quick and simple way to weatherproof your door involves installing self-stick foam around the doorframe to create a seal. Alternatively, you might install a door sweep along the threshold at the bottom of the entryway. Another important area to keep the heat in your home are your windows. Here are a few easy things you can do to make sure cool air doesn’t slip through the cracks. To get started, you first need to figure out where the leaks are. In “Home Maintenance for Dummies,” James and Morris Carey suggest using an incense candle to determine where the leaks might be. If there is a waver in the smoke, there’s a leak. Check where sections of the window meet one another, where the window meets its frame and where the frame meets the wall. If you find a leak, seal with weather stripping or caulk. If you take the extra step of removing the window trim, you can fill the area with expanding foam and remove the excess when it dries. Then put the trim back in place. The Careys say this will permanently take care of the problem of window leaks. If you’re still not satisfied with the drafts in your house, it might be time to look at replacing and/or installing more insulation. Whether you can install insulation on your own depends on your comfort level and the type of insulation. Depending on your floor, you can cut pieces of rigid insulation to fit in between the floor joists. You then caulk where the insulation and the joists meet. If there is a ceiling underneath the floor, blown insulation can fill the gap, although you may want to have a professional do the installation if you aren’t comfortable doing it yourself. Blown insulation can be used to fill in the cracks anywhere. There are many different types of insulation, but one key thing to look for is the R-Value. R-Value is a measure of resistance to temperature change. The higher this number, the better the insulation. Energy Star lists recommended insulation R-Values for your region of the country. The Department of Energy also has a tool on its website that helps you figure out the appropriate insulation to install based on your location, energy cost and construction materials. Do you have any tips for cutting the chill? Leave your suggestion in the comments. Thermal lined or block out light lining in drapes with them closed, will help warm a room. Self-stick foam is a good idea. It can be hard to effectively insulate a door that doesn’t quite hang straight. Windows and doors are definitely the first thing to consider when you’re trying to improve your insulation. It’s important to remember that the money you put into insulation will be an investment as you will save money on monthly bills. Thanks for the information! Good tips! It’s important to make sure you seal any crack you have in the attic and walls because even a small gap in the insulation will let a lot of cold air in. Great Post and very informative. I read your all the tips and i found it interesting. These insulation tips are very usefull and can implement in a pinch. Thanks for sharing.